Journalism award nominations to two of Halifax’s finest. Nominees for the 2016 Atlantic Journalism Awards were announced today, with a pair of crime-related Coast stories making the list. In Enterprise Reporting: Print, the AJA category for work such as investigative journalism that demonstrates reportorial initiative, our city editor Jacob Boon is nominated. 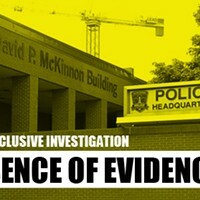 You will probably remember Boon’s article, “Continuity errors,” for breaking the news about the Halifax Regional Police having shockingly little control of the cash and drugs in its evidence locker. Many other media outlets followed the story, and it undoubtedly played a part in the subsequent changes to the way the Board of Police Commissioners does business. Contributing editor Lezlie Lowe is nominated in Feature: Print, a category for writing excellence she won back-to-back for cover stories in 2006 and 2007. 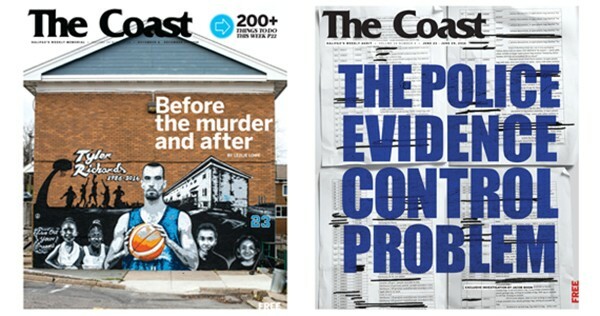 Her latest cover story chosen for recognition from the AJAs is “Before the murder and after, the life of Tyler Richards,” an epic profile of the basketball star who became the highest-profile victim in Halifax’s year of increased gun violence. Both Lowe and Boon face Coast-related competition in their categories. Former news editor Tim Bousquet is nominated for “Dead Wrong” in Enterprise, along with Deborah Carr for “Can we save our salmon?” In Feature, the other two nominees are Hadeel Ibrahim for “After the trauma” in Fredericton’s Daily Gleaner, and Coast godfather Stephen Kimber for the Atlantic Business Magazine story “Can you spot the security threat?” We’re sure all concerned will understand that our hopes are with Boon and Lowe on awards night, May 6 in St. John’s. Lowe’s AJA nomination comes on the heels of getting a national award nod. The Canadian Association of Journalists announced its 2016 awards finalists on Friday, and Lowe is in elite company for the Text Feature prize, with her Tyler Richards profile going up against stories by Report on Business Magazine’s Paul Webster; the Ottawa Citizen’s Tyler Dawson;Jason Markusoff, Nancy Macdonald and Charlie Gillis in Maclean’s; and Jon Wells for The Hamilton Spectator. 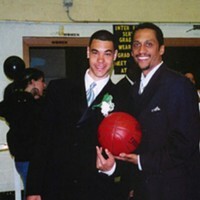 The whole east coast can get behind Lowe to win at the awards presentation, April 29 in Ottawa. The Halifax Regional Police department has high rates of missing evidence and numerous security risks inside its drug and money vaults, casting doubt on years of criminal cases.